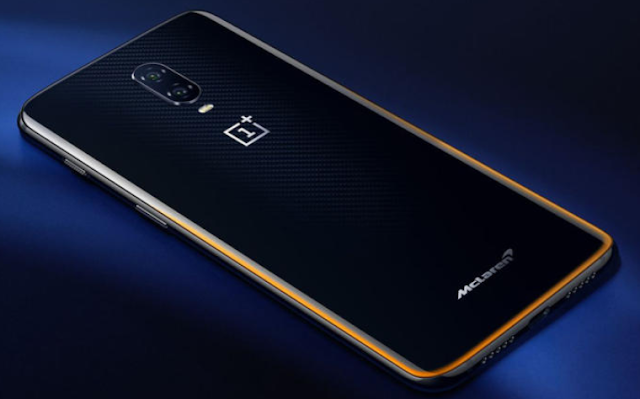 OnePlus 6T McLaren Edition with 10GB RAM Launched in India, Everybody knows that Oneplus is one of the best Android smartphone band. 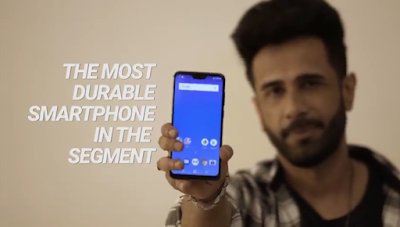 OnePlus introduced its OnePlus 6T smartphone in a new avatar on Wednesday in an event organized in Mumbai. OnePlus 6T McLaren Edition was launched by the company on Tuesday in China. This special edition of OnePlus 6T is featured in the 10 GB RAM and the new Warp Charge 30 technology of the company. The OnePlus McLaren edition has McLaren Signature on the rear at the bottom. OnePlus 6T McLaren Edition has 10 GB of RAM. Its price in India is Rs. 50,999. Sales of OnePlus 6T McLaren at Delhi Experience Stores will begin on December 13. On Amazon and OnePlus e-Store, it will be available for sale from December 15. Explain that the regular top-end 8 GB RAM and 256 GB storage variant is available in the country for Rs 45,999. In the McLaren edition, Oneplus has used carbon fiber under glass rear panels, designed to talk. Signature McLaren Papaya Orange Color can be seen around the Black Color Body. Along with the smartphone, the Papaya Orange color cable comes also. As the name implies, Wrap Charge 30 technology supports fast charging capacity up to 30 watts. The company claims that the phone can last up to a day within 20 minutes of charging. Explain that Regular OnePlus is equipped with charging support for 6T 20 watts. This special edition of OnePlus 6T runs on Android 9.0 Pie Based Oxygen OS. The phone has 6.41 inch Full HD + (1080x2340 pixels) AMOLED display, which has an aspect ratio of 19.5: 9. Corning Gorilla Glass 6 has been given to protecting the display. In the phone, Waterdrop Notch, in which Ambient Light sensor, Distance and RGB sensor has been given. The Qualcomm Snapdragon 845 processor has been given in OnePlus 6T McLaren Edition. RAM 10 GB and inbuilt storage are 256 GB. OnePlus 6T McLaren Edition is a 20-megapixel Sony IMX376K secondary sensor with 16-megapixel primary Sony IMX519 sensor and aperture F / 1.7 with aperture F / 1.7. There may be 4 more super slow motion video records from the camera. The rear camera is equipped with dual-LED flash with OIS and EIS. For amateurs of Selfie, the phone has a 16-megapixel Sony IMX371 sensor, which is equipped with aperture F / 2.0. Front camera Eis supports and it is possible to video recording at 1080 pixels. This edition of OnePlus 6T also has an in-display fingerprint sensor, which has claimed to unlock the phone in 0.34 seconds. The company is also claiming to be unlocked in 0.4 seconds with Face Unlock given in the phone. The phone has 4G VoLTE, Wi-Fi 802 AC, Bluetooth 5.0, NFC, GPS / A-GPS and USB Type-C port. The company has the Dirac HD Sound and Dirac Power Sound support in the phone. To give power to the phone, 3700mAh battery is provided, which is equipped with Wrap Charge 30 technology. The dimensions of the handset are 157.5x74.8x8.2 millimeters and weighing 185 grams.